Our team only partners with companies where we can apply our strengths to create substantial growth in revenues and profits. We are NOT consultants. Our online marketing team has started and operated a variety of companies. 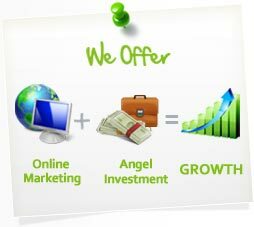 We have built companies and online marketing infrastructures that have resulted in huge growth and eventually acquisitions. We seek companies that can generate multiple millions of dollars a year in top line revenue within a few years of our investment. We are not married to any niches and will consider all opportunities. If you are interested in finding out if we could increase your business by 50% or more in the first year or if you have any questions, you may contact us.